A Phnom Penh dentist who claims she was defrauded by a group of prominent businessmen with plans for an agricultural startup in Cambodia has filed a lawsuit against the group with a U.S. federal court seeking compensation well over the $1 million she invested. The Phnom Penh Municipal Court is expected to hand down a verdict today in a related criminal case brought by Eng Lykuong against Sichan Siv, Richer San, Thomas Willems and William Nojay, partners in Akra Agriculture Partners, which never began operations. All four have denied any wrongdoing, either in media interviews or through their lawyers, arguing that their plans for the business were sincere and that Ms. Lykuong understood the investment risks. Mr. Siv was an ambassador to the U.N. under former U.S. President George W. Bush, and is the author of “Golden Bones,” an account of his life as a survivor of the Khmer Rouge regime. Mr. San and his wife Sithea San, who is also named in the lawsuit in Texas, are a prominent Cambodian-American couple who live and do business in both California and Phnom Penh. Mr. San, released on bail in October 2014, is the only member of the group to have been imprisoned after being charged in the case in Phnom Penh. Mr. Nojay, a New York state assemblyman, attorney and radio talk show host, committed suicide in Rochester, New York, last month, but his estate is still among the parties being sued in Texas. Mr. Willems is a businessman who, like Mr. Siv, resides in San Antonio where the lawsuit was filed. Filed with the U.S. District Court in San Antonio, the new civil lawsuit details how the defendants courted Ms. Lykuong, persuaded her to invest and then allegedly misspent the money, rather than keeping it in escrow as promised. After a dinner with Mr. and Ms. San during a visit to Long Beach, California, in October 2012, Ms. Lykuong sat down for a video conference with Mr. Siv to make her “more comfortable with the investment in Akra”—then went to meet him in person in San Antonio. Ms. Lykuong claims she was told the company had already secured $3 million in investment and needed another $1 million to start operations. “That representation, made orally, was false. Upon information and belief, Eng was the only outside investor who put up money,” the lawsuit says. Having agreed to the investment, Ms. Lykuong sent the payments in three installments to a bank account belonging to William Nojay, the account says. Back in Phnom Penh, she claims, Mr. Willems and Mr. San took the money and began to misspend it. “Willems and San leased a large office villa in Phnom Penh and started driving a new black Toyota Tundra and a new light colored, mid-size Lexus sports utility vehicle in Phnom Penh,” the civil complaint says. “Upon information and belief, Richer San paid himself $6,000 to $9,000 per month. From October 2012 through September 2013, Akra spend at least $625,065.42 on overheads, including ‘labor’ costs of $206,962.31, $119,747 on ‘General and Administrative Expenses,’ $47,400 on rent, and $24,650 on vehicles,” it says. At the first shareholder meeting, held several months after her investment, Ms. Lykuong was informed that both Mr. Siv and Mr. Richer had resigned from the company, and that Akra was still negotiating deals with third parties and was not yet operational. Expressing her concern to Mr. Willems in an email, he assured her that things were on track. This progress never came, however, and Ms. Lykuong learned that she was the only outside investor and that her money had been spent on unsuccessful attempts to solicit other investors, overhead expenses and personal use by the defendants, the complaint says. “In short, Eng was scammed by Defendants out of $1 million,” it says. On top of demanding a return of her initial investment, Ms. Lykuong is seeking—through a jury trial—unspecified punitive damages, attorneys’ fees, expert witness fees, court costs and interest on all claims. Kheng Ly, a lawyer who has defended Mr. Siv and Mr. San during the trial in Phnom Penh, said that he had presented their defense in Cambodian courts and had nothing else to add regarding the lawsuit in Texas. “I don’t want to elaborate more. If you attended the trial, you have already heard that my clients were just staff and we have already submitted relevant documents,” he said. 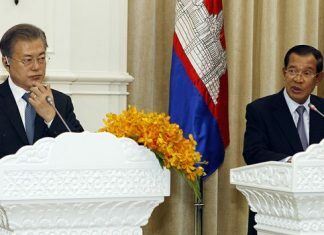 In an interview with the Rochester Democrat and Chronicle in September 2014, William Nojay, the deceased politician, dismissed the case in Cambodia and said Akra was still looking for opportunities. “I think it’s a dispute about this woman who I’ve never met [Ms. Lykuong] and Richer, which is why he’s dealing with this thing. 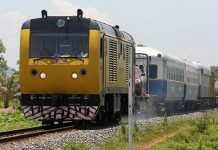 Something you have to understand about Cambodia is they used to just shoot people, so this is actually a step in the right direction,” he was quoted as saying. 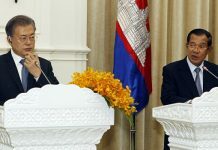 Ms. Lykuong said on Wednesday that she decided to file the lawsuit in the U.S. because a guilty verdict in Cambodia would be impossible to enforce, as all of the defendants resided in the U.S.
Ms. Lykuong declined to say how much she had spent to hire attorneys from Texas-based law firm Whitaker Chalk Swindle & Schwartz. Robert Simon, an attorney at the firm working on Ms. Lykuong’s suit, said the case would likely end in a settlement.